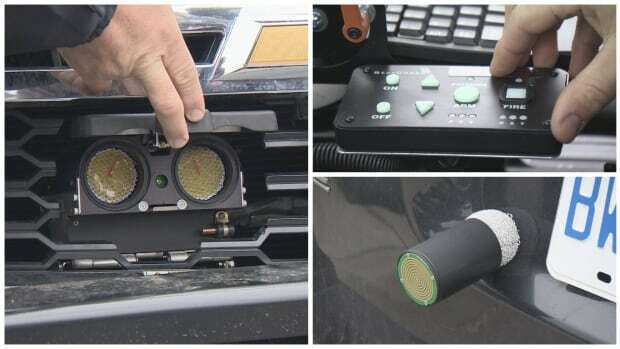 Batmobile-style gadgetry unveiled Friday by Ontario Provincial Police will allow them to catch speeding vehicles by shooting high-tech projectiles at them. 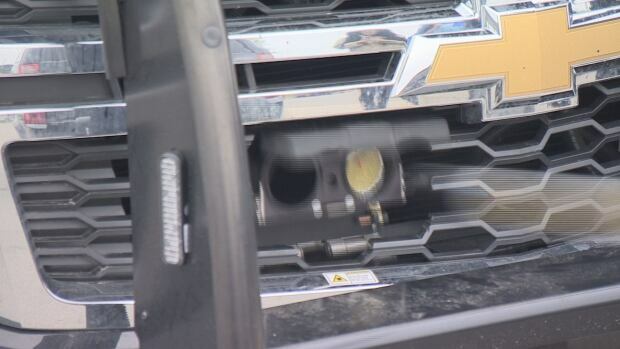 A small number of OPP vehicles are now equipped with a "GPS projecting launching system," Brad Blair, the deputy commissioner of traffic safety, announced at media conference. "We're very excited about this," Blair said in an interview. The projectiles are roughly the size of soup cans and are fired from the front grille of police vehicles. If it hits the mark, the projectile will attach to the targeted vehicle. 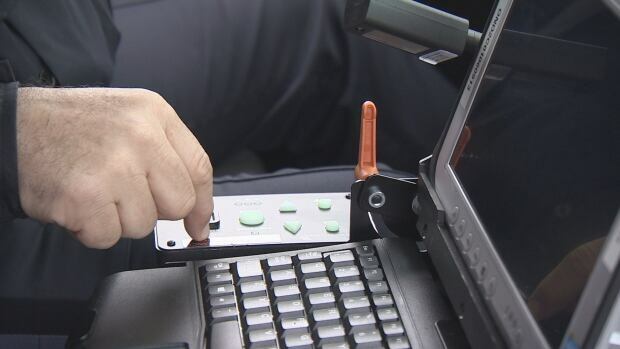 At that point, police say a GPS signal will be sent back to an OPP communications centre, allowing the vehicle to be tracked remotely and avoiding the need for a risky high-speed chase. Blair said the new tool will help reduce the risk to both members of the public and police officers. Specially-trained officers are able to aim and fire the projectiles using an on-board control panel. 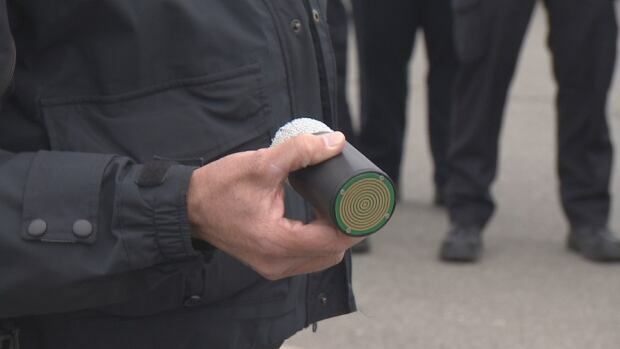 Similar technology was unveiled by police in Delta, B.C., earlier this year. OPP say this is a first in Ontario. Three vehicles have been equipped with the technology so far. Police say last year 307 people were killed on provincial roads. "It's incumbent upon us to look at new technologies and new ways of doing business in terms of keeping our roads safe," Blair said.